Horoya AC and Wydad Casablanca drew 0-0 in the CAF Champions League quarterfinal first-leg match at the Stade du 28 Septembre in Conakry on Saturday. The second-leg clash between Moroccan giants Wydad and Guinea's Horoya will be played in Morocco next weekend. 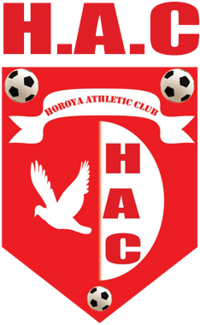 HAC were hoping to avenge the 2-0 defeat they suffered at the hands of Wydad during last season's Champions League. Mohamed Ounajem, who scored against Horoya during the match, started upfront for the visitors. However, the HAC defence, which was marshalled by Hamed Assoko, were able to contain the lethal attacker. On the other hand, Horoya's star forward Oncasey Mandela was looking to make an impact for the hosts, but he could not beat Wydad goalkeeper Ahmed Tagnaouti. The two teams were locked at 0-0 during the half-time break. Wydad continued to push for the opening goal after the restart, but they were frustrated by the Horoya defence. Hamid Haddad, who scored seven goals in last season's Champions League, was introduced by the visitors. Horoya and Wydad launched attacks in the dying minutes of the match, but they could not find the back of the net. Horoya: Khadim, Camara, Assoko, Hudu, Samassekou, Paye Camara, Baffour, Mandela, Nikiema (Mensah 64'), Haba, Sakin (Razak 46'). Wydad: Tagnaouti, Noussir, Nahiri, Comara, Babatunde (El Hadad 53''), Saidi, El Karti, Nakach (Hassouni 85'), Dari, El-Moutaraji (Thigazaoui 73'), Ounajem.